1 year subscription allows you to use this product for 1 year and renew if you' re satisfied. You will receive an email notification 7 days prior to the end of the subscription, which will include instructions to either renew for another year or cancel the subscription. Customize license validity and users based on your needs. Special Offers for Wondershare Bundle Save Up to $39.99! 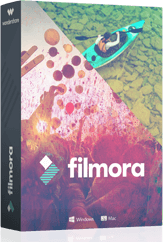 A powerful and intuitive video editing experience. Established in 2003 and located in Shenzhen, adjacent to the international financial and trade center Hong Kong, Wondershare has extended its business worldwide, consistently dedicated to satisfy customers with diversified consumer software products and services. With the booming development of Chinese economy, Wondershare has been exceptionally granted by the governmental preferential policies in terms of software industry, which include tax privileges and government supports. Moreover, the abundant software talent resource in China is also a great power for Wondershare’s fast development. Ever since the foundation, Wondershare has maintained the momentum of stable and fast development with the high-speed compound annual growth rate. Certified as a National High-Tech Enterprise by The Ministry of Science and Technology of the People’s Republic of China, Wondershare is now widely recognized as a leading consumer software provider in China. 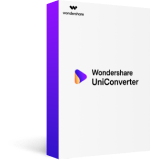 Wondershare UniConverter got over 500 reviews and recommendations from YouTube, PCWorld, Lifehack, PC-Tablet, Softonic, AndroidPIT, PCWELT, TopTenREVIEWS and more. UniConverter (originally Wondershare Video Converter Ultimate) won't keep, modify or leak any information in your video file. We take your personal data and account seriously. You're always the only person who can access it. UniConverter provides you an easy, fast and legal way to convert video format, download & Record online video, edit video, burn DVD, stream video to your TV and more. You can finish the whole operation even with no tutorial. All logos, splash screens, page headers, images and graphics displayed on this site are service marks, trademarks, and/or trade dress (collectively, "Marks") of Wondershare or its third party licensors. Except as expressly permitted herein, using, copying, transmitting, displaying, modifying or distributing any Marks in any form or by any means without the express written permission of Wondershare is prohibited and may violate the copyright, trademark, privacy or other laws of China. The trial version of UniConverter (originally Wondershare Video Converter Ultimate) is restricted to convert only 1/3 length of video, burn 1/3 length video to DVD, download 5 video files from online sites, record limited video and cast 5 minutes video to TV. What Shall I do if the Registration Code Says Invalid? You can make sure you install the right version of UniConverter first, then check if there’s trailing blank when entering the licensed Email and registration code (note they are all zeros in the registration code, no letter O). Please contact customer service if neither way works. What if I don’t Know My Device Compatible Format? UniConverter supports preset conversion. Just go to Output Format > Device to find the corresponding device model. Or search the supported format of your device online.